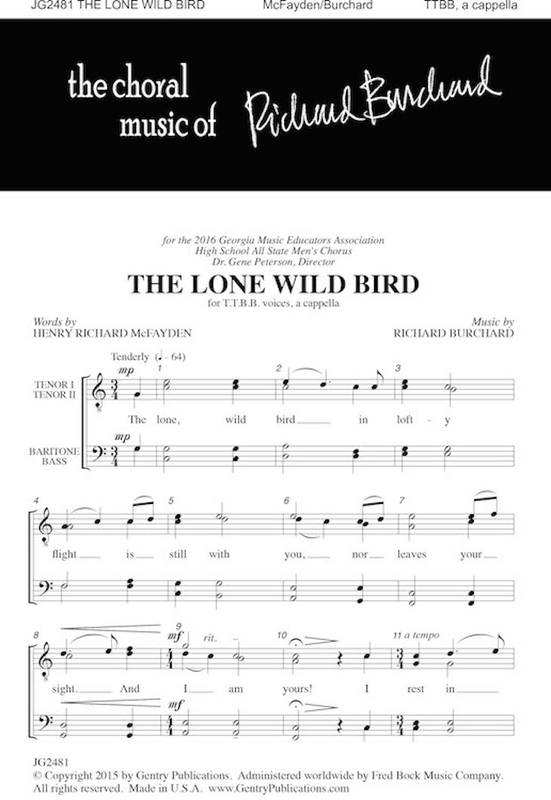 The Lone Wild Bird for TTBB A Cappella Choir. Commissioned by the Georgia Music Educators Association All State Men’s Choir, Athens, GA., Dr. Gene Peterson, director. World Premiere: The Georgia All State Men’s Choir at The Classic Center, Athens, GA.